Dubai’s hospitality industry continues to steal the limelight as the emirate has been rated among the global cities that are maturing quickly and rivalling the leading markets in terms of size and prestige, says a new report. The emirate has been rated at par with Shanghai, Beijing, Bangkok and Guangzhou in the “Rising Giants” category based on their ability to quickly mature and now sits among the world’s largest hotel markets, says JLL’s Hotels & Hospitality Group’s latest report on the industry. However, it says they are yet to attract the same level of real estate investor interest as the “Global Giants” namely London and New York. The rating was based on both their ‘Magnitude’ – their scale in terms of room numbers and investment and ‘Momentum’ – the speed of change in a market based on construction, socio-economic growth and changes in performance. 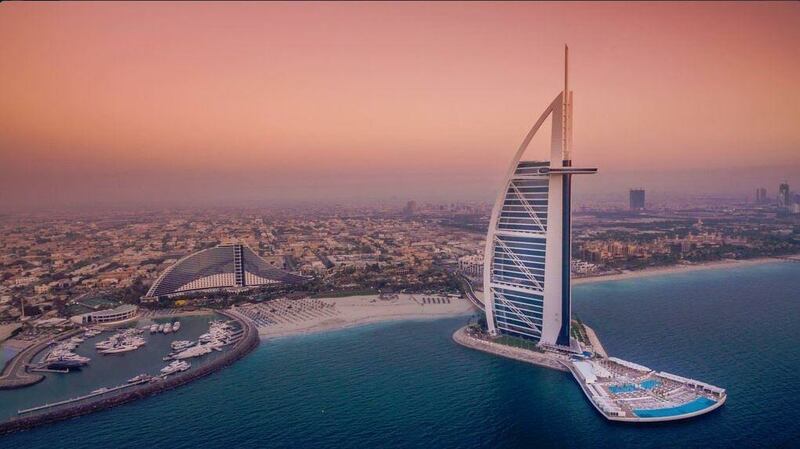 “Dubai has established a position as a global hub for tourism and business. Its supply pipeline continues to be among the largest in the world, representing 50 per cent of an already substantial market. Nevertheless, the pace of supply is having an impact on hotel performance, despite demand continuing to increase,” said Marko Vucinic, senior vice-president, acting head of hotels and hospitality group, Mena, in the report. “We have been able to witness this change in the Middle East, particularly in Dubai, as the hospitality markets here are now poised to adapt technological advancements,” he said, adding that the Middle Eastern Hot Spots of Riyadh and Jeddah are following in the footsteps of Dubai – and are each set to double their hotel room supply in coming years. Dubai Tourism on Sunday said Dubai’s hotel room inventory stood at 104,138 at the end of June 2017, up 5 per cent compared to the same time last year. Average occupancy stood at 79 per cent, increasing one percentage point over the end of June 2016. Occupied room nights were also up year on year, totalling 14.53 million compared to 13.77 million at the end of H1 2016. Laurent A. Voivenel, senior vice-president, Operations and Development for the Middle East, Africa and India, Swiss-Belhotel International, says there are multiple reasons that make Dubai a “Rising Giant” in global hospitality industry. He said opening of attractions such as the Dubai Opera, City Walk, IMG Worlds of Adventure, the world’s largest indoor theme park, Dubai Water Canal, and Dubai Parks and Resorts, the region’s largest integrated theme park resort have all further added to Dubai’s appeal as well as contributed to steep rise in leisure tourism. “Soon we have more landmark projects coming up such as Dubai Safari Park, Dubai Creek, the Dubai Eye and the 20 million square foot Dubai Harbour project,” he noted. Voivenel said the solid foundation that the government has put in place through broadening portfolio of leisure and business attractions and facilities, diversification of source markets, collaboration between various business sectors will all help to accelerate the pace of Dubai’s growth into the future and its place among “Global Giants” is assured. In order to move Dubai to “Global Giants”, Voivenel sees the need for more quality mid-scale hotels. “Dubai needs to become more affordable. To reach the goal of 20 million visitors by 2020, the city needs to achieve an annual visitor growth of 7-8 per cent and this can only be achieved by targeting a wider range of visitors and mass tourism markets. We are increasingly witnessing a shift in key source markets to lower spending regions due to growth in low-cost carriers, expanding middle class, etc., and this necessitates the development of more budget hotels,” he concluded. Ramadan Gomaa, general manager of Lootah Group’s Jawhara Group of Hotels & Apartments, says Dubai will grow from “Rising Giants” to “Global Giants” with the successful hosting of the Expo 2020 – which is a mega event of a global scale.